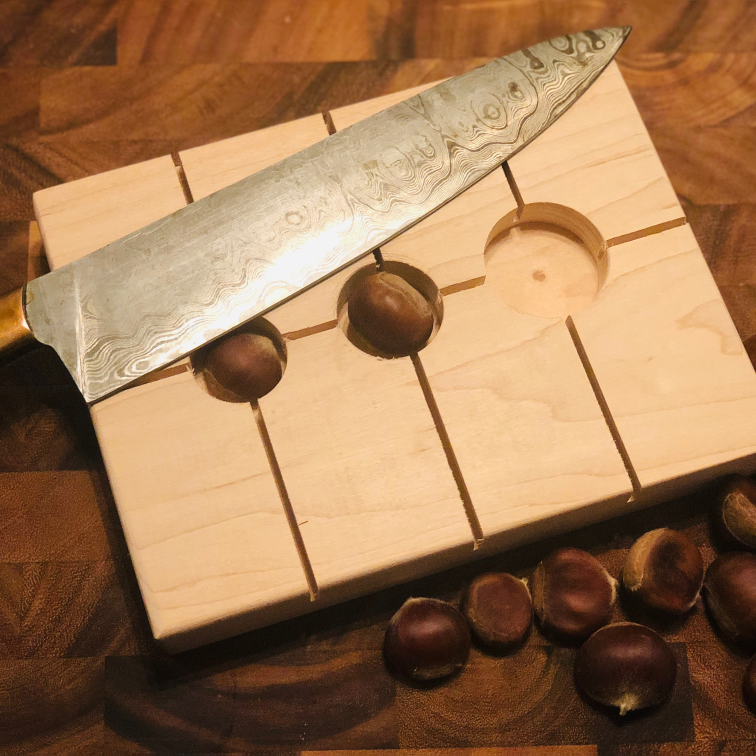 These handmade 100% Maple cutting boards are perfect for scoring with a perfect X before roasting. Combine this with a pound of our fresh, local, organic chestnuts for the perfect gift for your foodie friends! Custom gift bundles coming soon!